How the U.S. regime change laboratory created Venezuela’s coup leader. But after a single phone call from from U.S. Vice President Mike Pence, Guaidó proclaimed himself president of Venezuela. Anointed as the leader of his country by Washington, a previously unknown political bottom-dweller was vaulted onto the international stage as the U.S.-selected leader of the nation with the world’s largest oil reserves. While Guaidó seemed to have materialized out of nowhere, he was, in fact, the product of more than a decade of assiduous grooming by the U.S. government’s elite regime change factories. 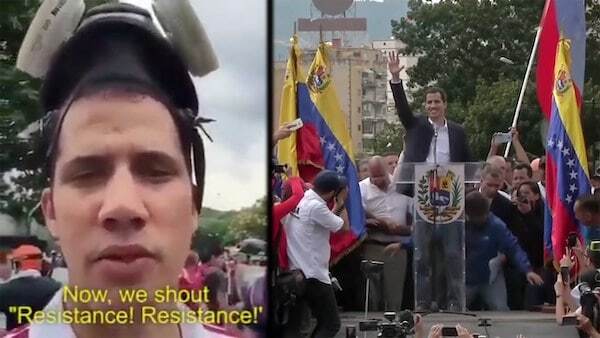 Alongside a cadre of right-wing student activists, Guaidó was cultivated to undermine Venezuela’s socialist-oriented government, destabilize the country, and one day seize power. 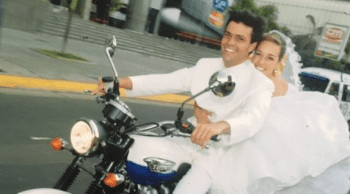 Though he has been a minor figure in Venezuelan politics, he had spent years quietly demonstrated his worthiness in Washington’s halls of power. But this is precisely why Guaidó was selected by Washington: He is not expected to lead Venezuela toward democracy, but to collapse a country that for the past two decades has been a bulwark of resistance to U.S. hegemony. His unlikely rise signals the culmination of a two decades-long project to destroy a robust socialist experiment. In 2002, Venezuela’s right-wing opposition briefly ousted Chávez with U.S. support and recognition, before the military restored his presidency following a mass popular mobilization. Throughout the administrations of U.S. Presidents George W. Bush and Barack Obama, Chávez survived numerous assassination plots, before succumbing to cancer in 2013. His successor, Nicolas Maduro, has survived three attempts on his life. According to the Venezuelan government, the U.S. was also involved in a plot, codenamed Operation Constitution, to capture Maduro at the Miraflores presidential palace; and another, called Operation Armageddon, to assassinate him at a military parade in July 2017. Just over a year later, exiled opposition leaders tried and failed to kill Maduro with drone bombs during a military parade in Caracas. 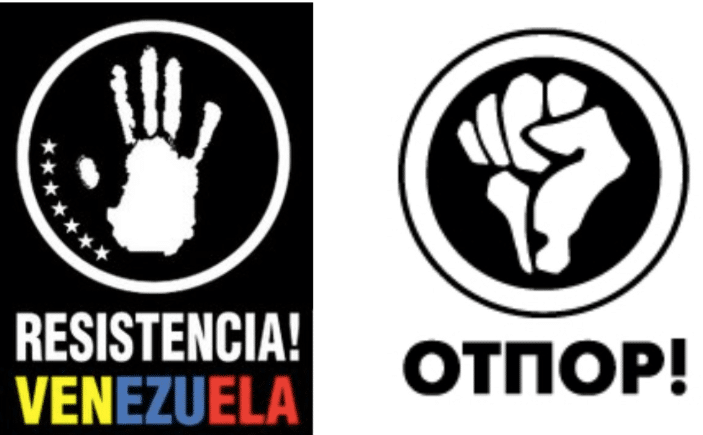 CANVAS is a spinoff of Otpor, a Serbian protest group founded by Srdja Popovic in 1998 at the University of Belgrade. 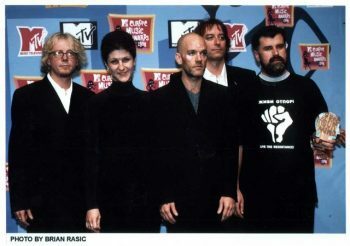 Otpor, which means “resistance” in Serbian, was the student group that gained international fame—and Hollywood-level promotion—by mobilizing the protests that eventually toppled Slobodan Milosevic. 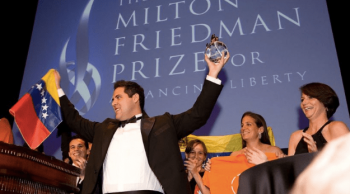 The Stratfor and CANVAS trainers of this cell identified Guaidó’s ally–a street organizer named Yon Goicoechea–as a “key factor” in defeating the constitutional referendum. The following year, Goicochea was rewarded for his efforts with the Cato Institute’s Milton Friedman Prize for Advancing Liberty, along with a $500,000 prize, which he promptly invested into building his own Liberty First (Primero Justicia) political network. Stratfor and CANVAS–key advisors of Guaidó and his anti-government cadre–devised a shockingly cynical plan to drive a dagger through the heart of the Bolivarian revolution. The scheme hinged on a 70% collapse of the country’s electrical system by as early as April 2010. 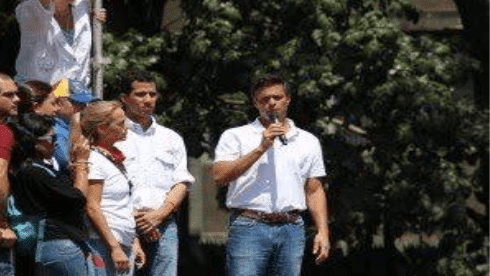 In November, 2010, according to emails obtained by Venezuelan security services and presented by former Justice Minister Miguel Rodríguez Torres, Guaidó, Goicoechea, and several other student activists attended a secret five-day training at the Fiesta Mexicana hotel in Mexico City. The sessions were run by Otpor, the Belgrade-based regime change trainers backed by the U.S. government. The meeting had reportedly received the blessing of Otto Reich, a fanatically anti-Castro Cuban exile working in George W. Bush’s Department of State, and the right-wing former Colombian President Alvaro Uribe. Three petroleum industry figureheads–Gustavo Torrar, Eligio Cedeño and Pedro Burelli–allegedly covered the $52,000 tab to hold the meeting. Torrar is a self-described “human rights activist” and “intellectual” whose younger brother Reynaldo Tovar Arroyo is the representative in Venezuela of the private Mexican oil and gas company Petroquimica del Golfo, which holds a contract with the Venezuelan state. Yet today Burelli makes no secret of his desire to see Venezuela’s current president, Nicolás Maduro, deposed–and even dragged through the streets and sodomized with a bayonet, as Libyan leader Moammar Qaddafi was by NATO-backed militiamen. In an televised appearance in 2016, Guaidó dismissed deaths resulting from guayas–a guarimba tactic involving stretching steel wire across a roadway in order to injure or kill motorcyclists–as a “myth.” His comments whitewashed a deadly tactic that had killed unarmed civilians like Santiago Pedroza and decapitated a man named Elvis Durán, among many others. Lester Toledo, a Popular Will legislator from the state of Zulia, was wanted by Venezuelan government in September 2016 on charges of financing terrorism and plotting assassinations. The plans were said to be made with former Colombian President Álavaro Uribe. 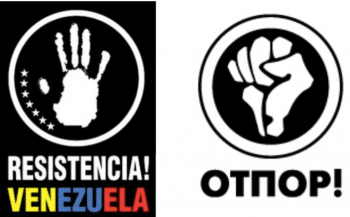 Toledo escaped Venezuela and went on several speaking tours with Human Rights Watch, the U.S. government-backed Freedom House, the Spanish Congress and European Parliament. This July 26, Smolansky held what he called a “cordial reunion” with Elliot Abrams, the convicted Iran-Contra felon installed by Trump as special U.S. envoy to Venezuela. Abrams is notorious for overseeing the U.S. covert policy of arming right-wing death squads during the 1980’s in Nicaragua, El Salvador, and Guatemala. His lead role in the Venezuelan coup has stoked fears that another blood-drenched proxy war might be on the way. A week later, Sen. Marco Rubio, Sen. Rick Scott and Rep. Mario Diaz-Balart–all lawmakers from the Florida base of the right-wing Cuban exile lobby–joined President Trump and Vice President Pence at the White House. At their request, Trump agreed that if Guaidó declared himself president, he would back him.